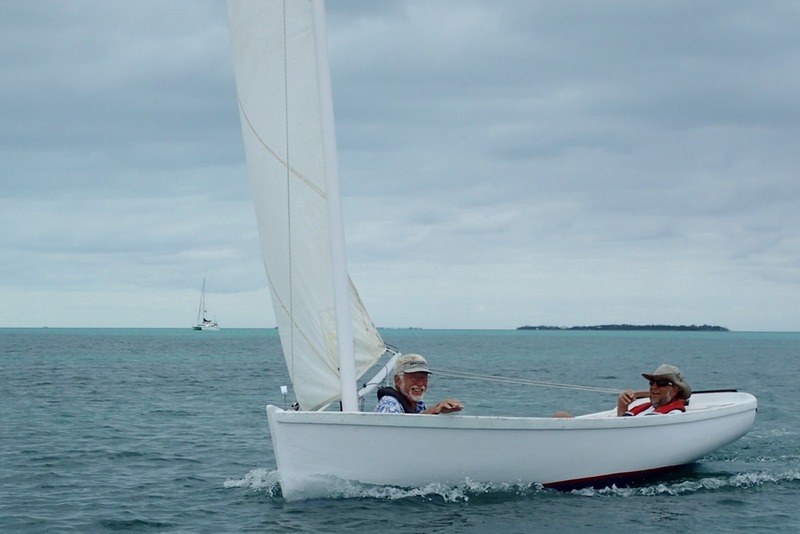 Abaco dinghies were built in Hopetown and on Man O’ War Cay from about the 1970’s through the end of the twentieth century. Called the Bahamian Model T, they were used for fishing, sponging, conching, and general inter-island transportation. The early dinghies were crafted entirely of wood using hand tools, which were also sometimes home-made by the builder. Recently, older ones have been found and lovingly restored. 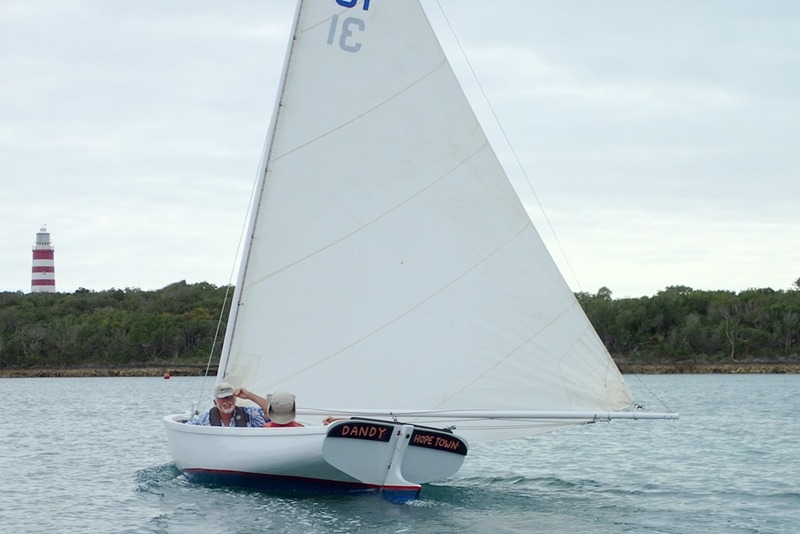 Now Abaco dinghies are sailed for fun and for racing. 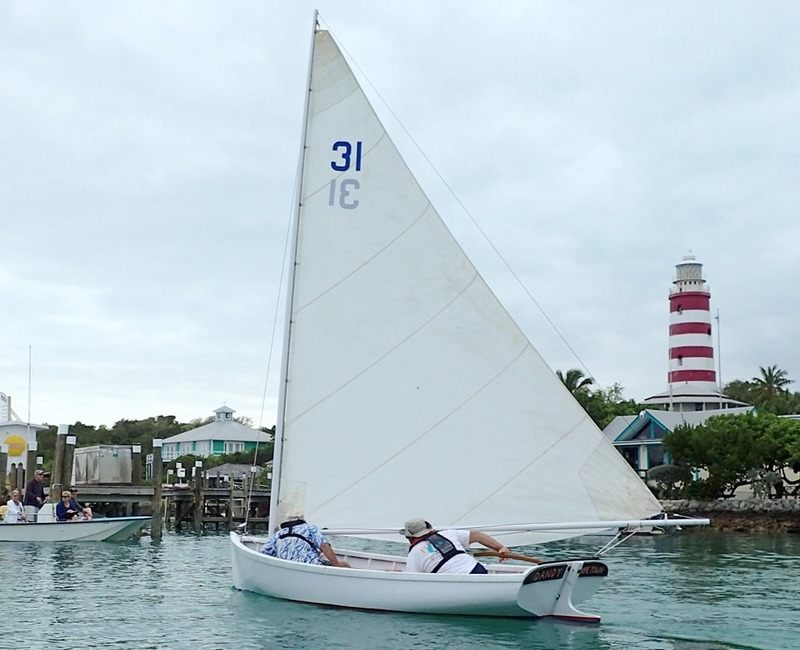 In Hopetown, the Sailing Club sponsors races for these privately-owned dinghies and for Sailing Club-owned Sunfish. Abaco Dinghies are handicapped based on slight differences among them, usually due to the builder’s preferences and the owner’s requests. These include, e.g., keel depth, rudder size, and overall length (12’ – 14’). Since the boats are of a similar design and sail plan, they look alike to the untrained eye. 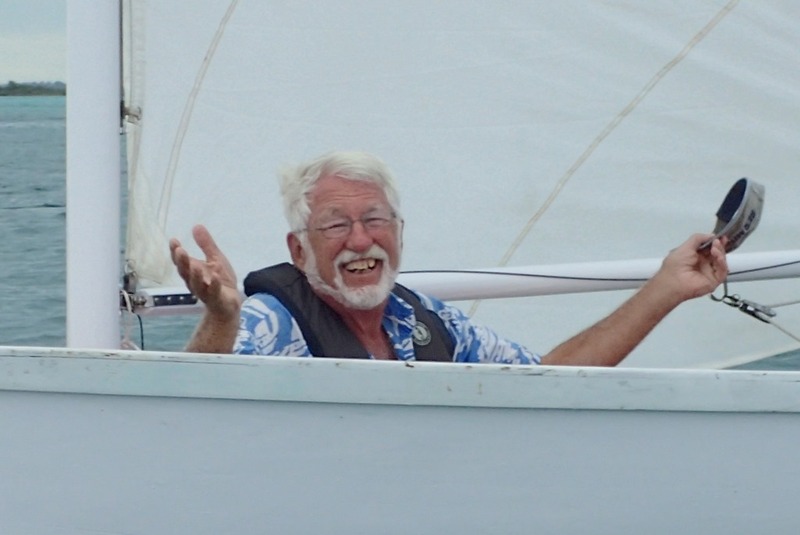 But MOW boat builder Andy Albury told us that his father could watch an Abaco dinghy sail into MOW’s harbor and know exactly who made it. Goldwin races with Dave, proud owner of Dandy, which he rescued from a boat yard in upstate New York. 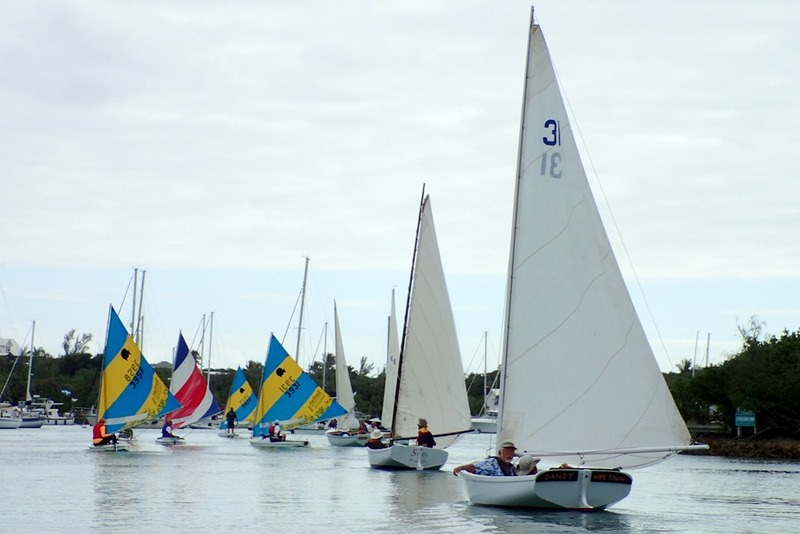 Eight boats raced – Dandy took fourth. Yeah!